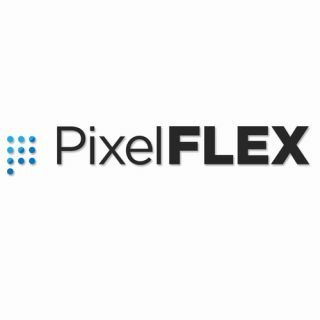 PixelFLEX will launch a showcase of its LED video solutions at InfoComm 2016. Located in Booth N2759, PixelFLEX will highlight the FLEXLite NXG and FLEXLite Plus LED video walls, reFLEXion LED video stand and the TrueFLEX LED video display technologies. InfoComm 2016 will take place June 8-10, 2016, inside the Las Vegas Convention Center. The FLEXLite NXG is available in two sizes with 2.6mm-6.25mm pitch options, plus a 6.25mm full outdoor, IP65 version as well. For optimum performance, FLEXLite NXG tiles are calibrated directly out of the box to ensure color and brightness and provide easy access to the back of panels allows for quick and simple on-site repairs. FLEXLite Plus is capable of a 15-degree curve in any direction and is one of the highest resolution curve-able LED displays on the market. Because of its bright, dense display and high refresh rate, FLEXLite Plus photographs and videos smoothly and its tiles are calibrated directly out of the box to help decrease failure, and insure perfect color and brightness of your LED screen. A replacement for traditional static and backlit signage, the reFLEXion LED stand is a self-contained 2.5mm pitch/resolution video display with a sleek design for easy mobility throughout any space. Its Wi-Fi connectivity allows for convenient networking and content updating to maximize the viewer experience and it is customizable with multiple base options. The LED display of reFLEXion can be further customized to a specific size with an assortment of color aluminum frame options, plus it can create right angles to wrap around 90 degree corners wherever needed.